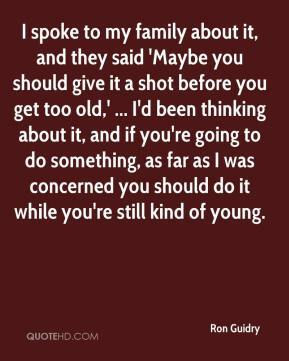 I spoke to my family about it, and they said 'Maybe you should give it a shot before you get too old,' ... I'd been thinking about it, and if you're going to do something, as far as I was concerned you should do it while you're still kind of young. 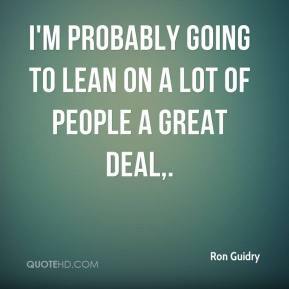 I'm probably going to lean on a lot of people a great deal.